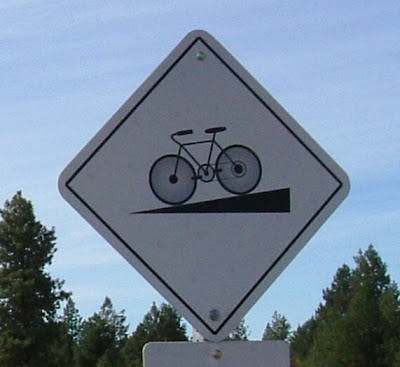 When bicycling up hill, one experiences the field of gravity. Pedal harder or else the bike tries to roll back down hill toward the center of the earth. What about the Higgs field, does that effect bicycling as well? They say this field is responsible for inertia. Inertia means it takes effort to get something rolling from a resting position. It takes a push to get rolling and then one must put on the brakes to stop. This is the property of inertia. I assume this property of inertia is related to the Higgs field the way weight is related to the field of gravity. Seems to be the case, from everything I can gather reading about Higgs particle and field. Here is a real good article I found explaining this further. Article predated the most likely find of the Higgs Boson at the Large Hadron Collider, in Europe, but it's still interesting. They say they are pretty sure they've found the Higgs Boson at the LHC. It's a particle that implies there is a Higgs field permeating the entire universe. Higgs bosons are rare, indeed, at least in our earthly experience. To find it, one must rattle part of the Higgs field with intense energy, such as during proton proton collisions at Hadron, for the particle to appear. While the particle is hard to find, the field influences our everyday experience. Like gravity that is felt when one travels up or down, the Higgs field creates the effect of inertia. 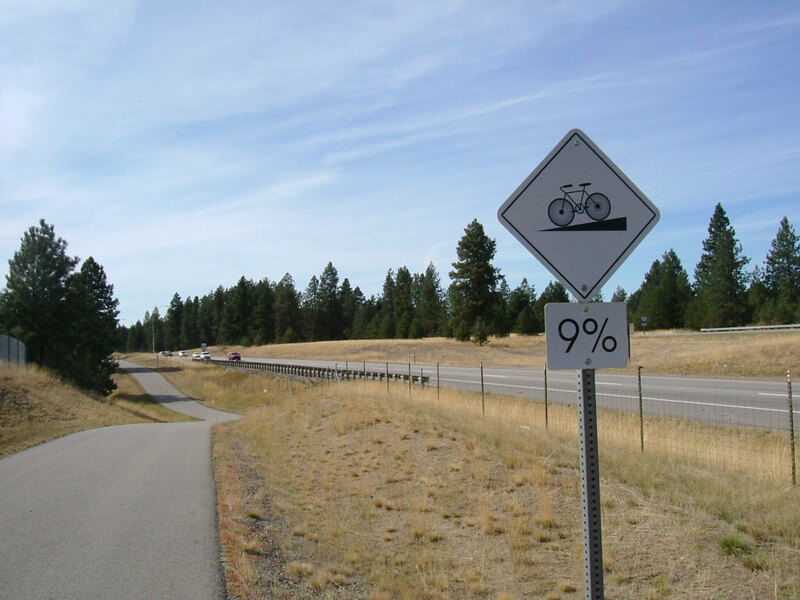 Gravity is less evident on a flat road, but the effect of inertia is still prevalent. One still has to pedal the bike to get it rolling. If there were bicycle tours in outer space, inertia and the Higgs field would be easier to deal with than gravity. Just give the bike a push and it can coast indefinitely, unless something makes it stop. A spacecraft can coast after one engine burn gets it going. With no air resistance in space, coasting can go on indefinitely. On earth, this kind of coasting is not allowed. Wind resistance takes away energy. One especially notices wind resistance on a bicycle. It's the difference between a headwind and a tailwind. Another factor effecting travel, here on Earth, is friction from wheels rolling on pavement and other moving parts. The occasional hill brings gravity which works against you going up, but gives you a boost coming down. I've noticed that cars often have trouble starting on a steep hill. There are many hills in downtown Seattle with stoplights at the top. To get started again, one must overcome both the force of gravity and the effect of inertia to start rolling again from a dead stop. Is this having to deal with both the Higgs and the gravitational fields simultaneously? What about when something is in orbit, like for instance the moon orbiting the earth. Inertia says that an object will continue traveling in a straight line until something stops it. In the case of being in orbit, gravity keeps the object from traveling in a straight line. Without gravity, the moon would fly off in a straight line away from earth. The gravity keeps it going around earth, like it's tied to a string. Being in orbit means the moon's inertia and the force of gravity are in equilibrium. Does that mean that the effect of the Higgs field and the field of gravity are in equilibrium in regards to the moon so it remains in orbit? Assuming that there is a connection between Newton's laws of motion and all this talk about the Higgs particle and field. I wish I could sit down and have coffee with a physicist someday, but I don't like coffee. How about they have coffee while I drink my chocolate milk? Photo from North Idaho to Spokane Centennial Trail near Post Falls Idaho.